I'm hardly in a position to criticise bodyshops, am I? 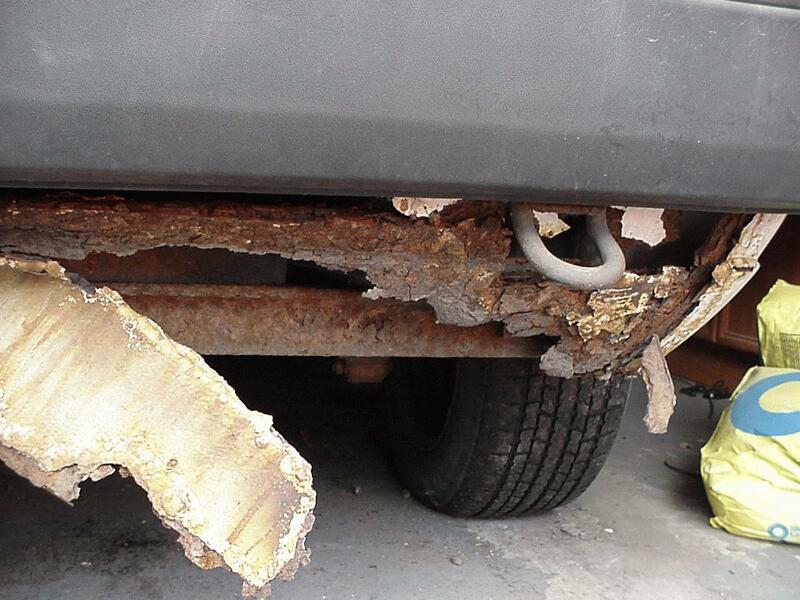 Even so, this page shows why you should check any bodywork repairs you get done (and used cars) carefully. In this case the repair was OK-ish for a proffesional job, but the rustproofing was awful. I bought this car as a alternative to A92MBF, thinking I'd take stuff worth having from A92, fix the dodgy clutch, and Bob would be my Auntie's live-in lover. WRONG! Look what was hiding behind the bodykit! As can be seen the rear valance was VERY rotten- most of it has gone, and the rot has spread to the chassis box sections. Things were being held together by the underseal and seam sealer! The large lump of angle iron is the cheap and nasty towbar. I don't think the holes drilled to fit this helped. Take my advice- buy towbars from the dealer, or the people that make them for the manufacturer. They fit better- without drilling metal quite often, and look better. This is the rear valance of the other car. 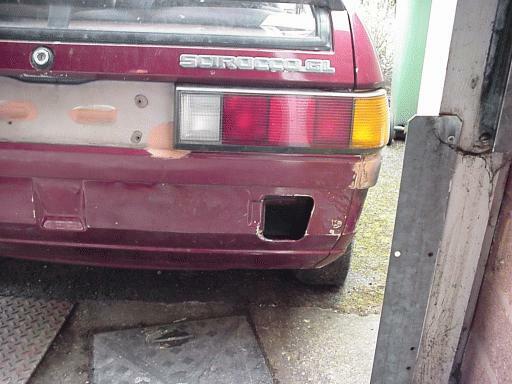 The bits of primer are only very minor repairs- and this car is 2-3 years older! Click pictures for a larger view.